Clean Upholstery In-plant cleaning is recommended for most oriental rugs and loose woven rugs. Unlike cleaning wall-to-wall carpets, proper cleaning procedures may require several treatments for a more thorough cleaning, controlled drying, and the use of various tools that are not available on location. Affordable Clean Carpet Service is concerned about the appearance and investment you make in your home and will give you the best recommendation based on the description you provide or that our technician evaluates on site. We can pick your rug up for cleaning and delivery back to your property. 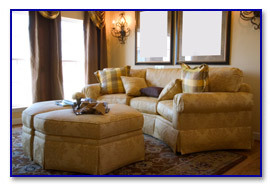 Upholstery cleaning and tile & grout cleaning are some of our other services that we offer. We offer competitive prices and affordable services that will stand against any of our competitors.